Vietnam has one of the fastest growing economies in the world. In the last 5 years, their average annual GDP (PPP) growth rate was 5.9%. Compare that to America’s 0.6%. 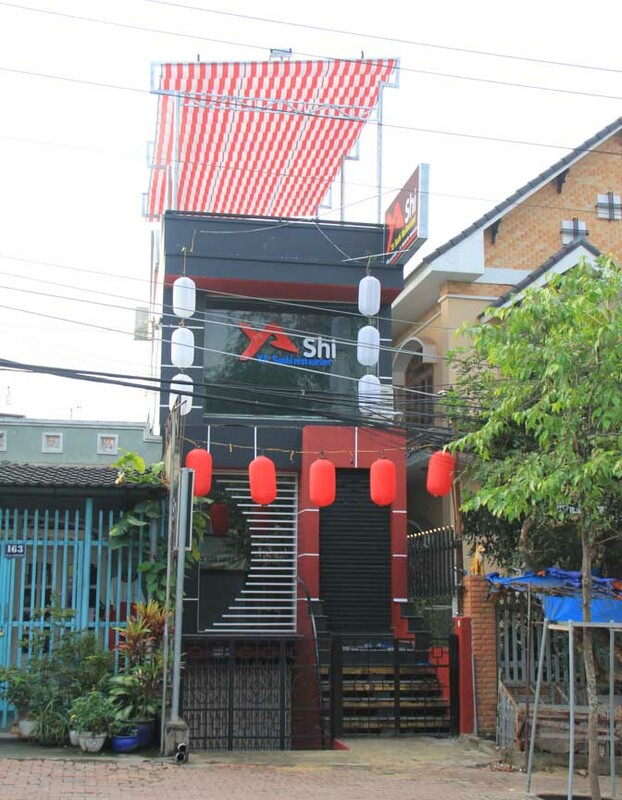 Furthermore, starting a business in Vietnam doesn’t require a giant pile of money. With just $5000 it’s possible to get a small business going. Start-up costs for a restaurant in New York would be at minimum $300,000. For that kind of money in Vietnam, you could start a very high-end establishment (when restaurants are high-end we call them establishments). Pho24 is one of Vietnam’s largest franchises. They are the country’s only franchise to have success internationally with locations in Tokyo, Macau, Hong Kong, and Manila. To open a Pho24, the owner Ly Qui Trung says it costs an average of $80,000. That’s nothing compared to opening a Denny’s in America — between 1.3 and 2.6 million dollars. Back when Sara and I were looking for a place to live, we were shown a former restaurant that was for rent in Thu Dau Mot, a growing city and the capital of Binh Duong province. The rent was $600 a month. It was 3 stories, had underground parking, a rooftop patio, and was on one of the busiest streets in the city. I drove by it the other day and saw that a sushi restaurant will be opening up there soon. Staffing costs in Vietnam are ridiculously cheap — too cheap. In 2013, the average monthly salary of a Vietnamese worker was under $150. I suggest paying your employees much more than this, but you get the picture. Not everyone wants to own a restaurant, and in fact I don’t really recommend that as a business unless it’s your passion. There are many people coming to Vietnam to grow their startup businesses. Bootstrapping is a term used to describe a business that operates on very little money. A business built from nothing. It’s usually financed by the owner only and it slowly builds as the business profits. By not relying on outside investing, the owner has full control. There is a bit of a bootstraping culture going on in Saigon. 70% of the city’s population is under 30. They are excited to work, are tech savvy, and affordable. If you’re not into computers, you might want to consider exporting goods from Vietnam. Last week, I went shopping for a chair and found a store that was making beautiful furniture that I know would cost at least $2000 in Canada. They were selling it for around $500. I’m sure if you packed a shipping container and found a good dealer, you could clear around $500-$700 per piece. I know one guy who makes his living by fixing up vintage motorbikes and finding buyers in the UK. Of course, doing business in Vietnam can be a huge headache, but there are companies that can handle all the details for you. Also, it’s worth noting that the standard corporate income tax rate in Vietnam is 25%. Whether you are looking to pay off debts, or if you just want to live a more high-flying lifestyle, Vietnam is a great place to call home. When the weekend hits, I like to go out with friends, have dinner, drink a few beers, play some pool, and maybe even end up in a private room at a karaoke bar. A night like that would cost a fortune in Toronto, my former city. I could easily blow $100 on one night. In Vietnam, dinner, drinks, pool — about $20. A beer out in Toronto: $6, in Vietnam: $1. A case of Heineken in Toronto, $46.95. In Vietnam: $17. That should be the only thing I need to say. You should be on a plane by now. 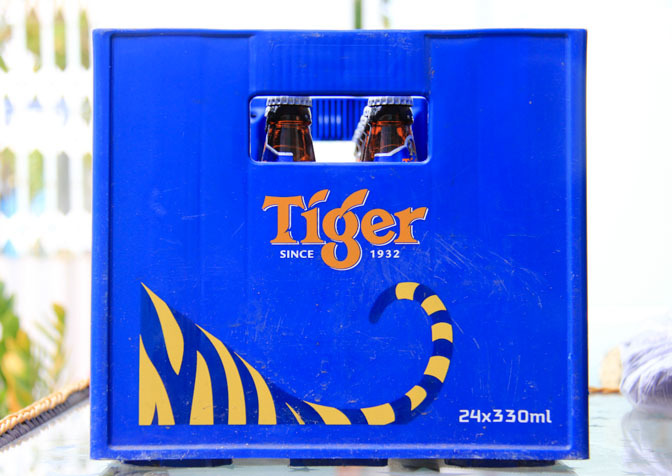 Tiger, a popular beer in Vietnam. 24 bottles for $17. Rent in Vietnam is very reasonable. We pay 10,000,000 dong ($467) per month for a 3 bedroom partially furnished house. We saw some places that were a bit smaller for about $300/month. A furnished, fully serviced 1 bedroom apartment in downtown Ho Chi Minh City will go for about $500. Most of the people I know have maids. Some even have a cook that will do their shopping for them and prepare dinner everyday. Laundry service is quite affordable and they’ll even pickup and drop off your clothes so you don’t have to leave your air-conditioned palace. I haven’t shaved myself since I got here. Forget the Dollar Shave Club, Vietnam is the 50 cent shave country. Right now, I spend an average of $750/month. That includes rent, eating out at least once a day (sometimes 3 times a day), going out every weekend, taking overnight trips into the city (sometimes taking a taxi for an hour to get there), weekly date nights (sushi and a movie), and playing tennis twice a week. If we cooked at home everyday, we’d save even more. For a pound of boneless chicken breasts it costs about $1.42. In Canada, it would be about $4.60/lbs. Don’t get me started on how inexpensive rice is here. Sometimes, I buy sacks of it just to work on my throwing technique for weddings. Numbeo breaks down costs pretty well. You can compare your city with a city in Vietnam. It’s not always accurate — it claims membership to a fitness club is $60/month in Vietnam when I’ve seen it for much cheaper (some gyms are only $7/month) — but it’s fun to look at it and think about how much money I’m saving. To have a taxi wait for you for 1 hour costs $26 in Toronto. In Vietnam, 84 cents. Geez, that’s like $20 for an entire day of waiting. I should hire a taxi driver to wait outside my house all the time. I don’t need to say much here. Go to your nearest Vietnamese restaurant and try a bowl of pho. That’s like sticking your feet in the pool, it feels great and it’s only a matter of time before you dive in fully. There are so many great dishes in Vietnam. Everything is so fresh. The food is a big part of the reason we came here. So big, in fact, that I started documenting all the food I tried. 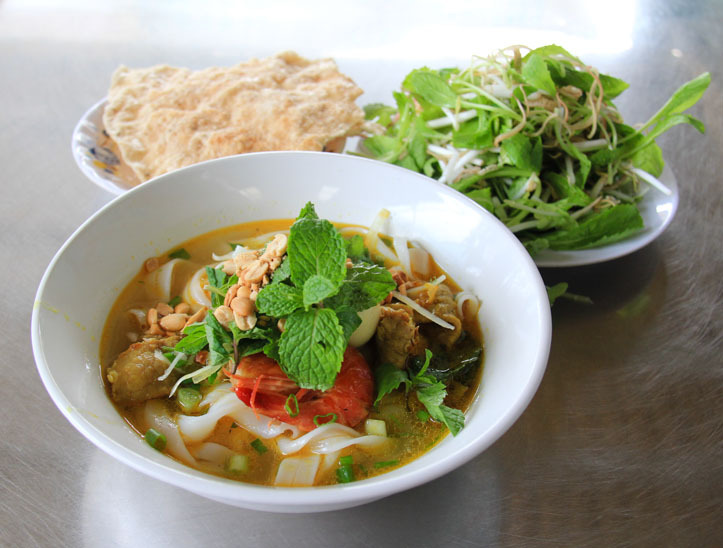 Have a look at the website here: VietnaMenu – A foodie’s guide to traveling Vietnam. Coffee gets it’s own section. I know, I could have stuck it in under the food section, but that would be like a blind man purposefully kicking his seeing eye dog. Give it the credit it deserves, dude. 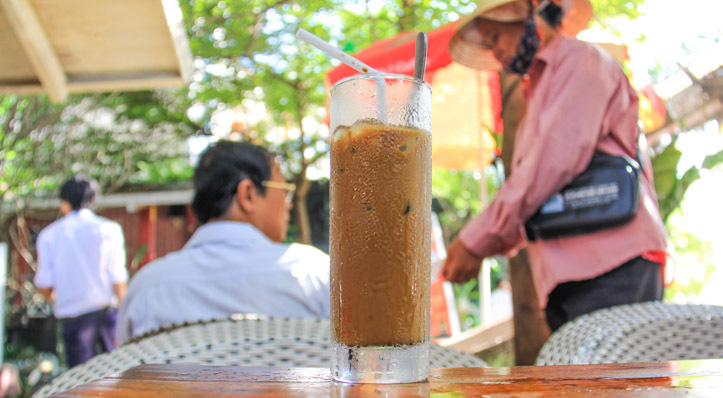 The coffee in Vietnam is very rich, so rich that it’s mixed with sweetened condensed milk. The combination is like chocolate. Drink it over ice, or enjoy it hot. Vietnam has a huge cafe culture. You can’t throw a bean without hitting a place that sells coffee. People sit in garden cafes all day, using the wifi, drinking, and socializing. The atmosphere is relaxed. The staff don’t pressure you to leave or buy anything. It’s pretty amazing how easy it is to escape the hustle and bustle of the city. Just find a cafe set back from the road with lots of greenery. You feel like you’re in a different world as you sip the greatest drink ever. That’s right, I said it, the greatest drink ever. Chocolate milk and I had a falling out, and beer has made me vomit too many times. Vietnam wouldn’t be what it is today without scooters. You can ride them year-round, they’re really cheap on gas, they can traverse a city like no other machine, and they’re a lot of fun. They’re the perfect mode of transportation for Vietnam. In Ho Chi Minh City, they estimate there is 3.5 million motorcycles (the population is about 7.8 million). I love the fact that I can jump on my bike and buzz over to the store, the cool breeze blowing on my face as I zip in and out of traffic. In Toronto, my largest supplier of stress was my car. Parking, insurance, repairs, the price of petrol, the self-inflicting damage that occurs when I’m sitting in traffic. In Vietnam, parking is almost always free for motorcycles, you don’t need insurance to ride a scooter, repairs are insultingly inexpensive, I spend maybe $3 a week on fuel, and I haven’t had to sit in traffic once here. Granted, I don’t live in Ho Chi Minh City, but a normal one lane road can probably fit 5 scooters side-by-side. That’s like having a 5 lane highway everywhere. Once you learn to drive the Vietnamese way (aka like a crazy person), you’ll love Vietnam’s scooter culture. On my way to the market, I almost crashed into a scooter carrying bags of goldfish, because I was looking at a guy who was selling live squirrels at the side of the highway. When I got to the market, I was looking for lamb, but I accidentally went to the stand selling dog meat. Talk about barking up the wrong tree. *Everyone within earshot laughs uncontrollably for several minutes. Travel is our passion. In Canada, it’s difficult to go anywhere exotic. Our trips were limited to places within a 4 hour drive — so basically, other parts of Ontario. The country is just too big and spread out. In Vietnam, we can make it to the ocean from Ho Chi Minh City in an hour and a half. The Mekong Delta is about the same. If you prefer distancing yourself from sea level, Dalat is about a 7 hour bus ride (and about 1500 metres above sea level). The Cambodian capital, Phnom Penh can be reached in about 6 hours by bus. All of these rides are under $20. If you’re located in Hanoi, you have a whole slew of other options including the magnificent Halong Bay, Sapa, and China. Flights in Vietnam are also very cheap. Currently, the best budget airlines are Jetstar and Vietjet Air. If you plan it right, it’s possible to get a return flight to Singapore for about $50. Some people I know fly to Singapore for the weekend just to buy some stuff they can’t get in Vietnam. Although, what more do you need than cold beer, delicious food, amazing coffee, endless excitement, and the occasional escape? A decent helmet if you’re planning on riding a motorbike. Shoes, if you have even slightly large feet (I think the max size for women is a 38 or 7 if you’re using US sizes). Tampons. Any name brand products that you are devoted to – for me that’s Frank’s Red Hot sauce, but it could also be a favorite spice mix or something. Some sporting goods are available here but more expensive – for example, tennis rackets. Decent towels and bedding are hard to find. I think that’s about it. All the stuff I listed can likely be bought somewhere in Saigon, but it will be more expensive. I recently had someone visit me and they asked if I wanted them to bring me anything – all I could think of that I missed was food products like corn tortillas, cheeses, and other stuff that wouldn’t survive the plane ride. Just wanted to say thanks for your website. My husband got a job in Hanoï and we’re leaving Canada next month with our five kids (age 5 to 13). We moved from Europe to Canada 20 years ago and we fell in love with Ontario parks and Vermont. Until I went through your website I was a bit worried, not finding really any answer to the questions I had. You answered many of them. Thanks! I’m always glad to get comments like this, and I love to hear about families moving with their kids. People like to use their kids as an excuse, but all the kids I know living overseas are really great. Have a great time and be sure to check out the Trang An scenic area, one of my favorite places in Vietnam. Any recommendation for International Schools? I think those are the best ones.